Spring has sprung-ish! Here in Montreal, Mother Nature is being a real woman and cannot seem to make up her mind. She keeps switching back and forth between winter and spring (mild days alternating with snowstorms, the Montreal usual tee hee…). Hopefully this summer-y recipe will hasten spring’s arrival 🙂 . 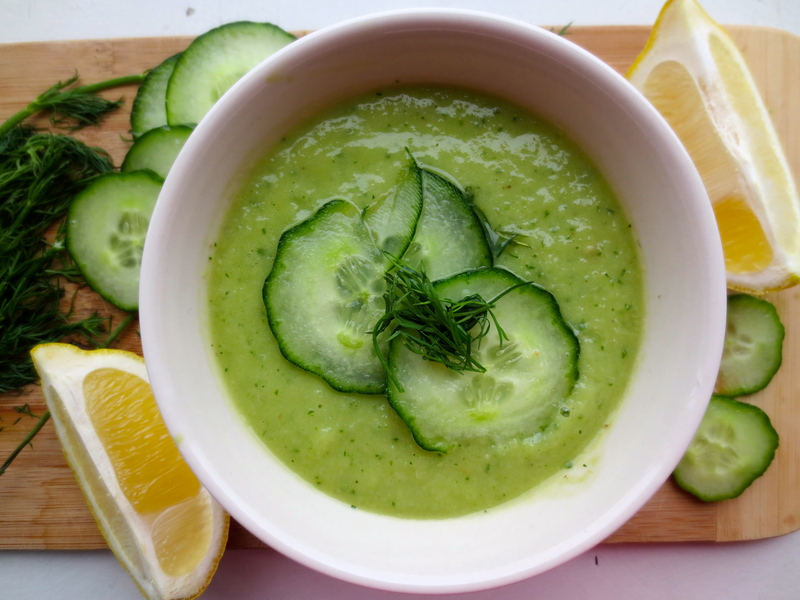 Spring clean your body with this cleansing and cooling gazpacho-type soup. 2. Pulse until creamy and smooth. 3. Chill for 45 minutes or more. 4. Place the soup in your temple a.k.a. eat up. To conclude with a fun fact, cucumbers contain silica which is an essential component of healthy connective tissue (skin, muscles, tendons, ligaments, cartilage and bone).